The key to visiting a city, no matter where it's located, is to visit with a local and not JUST a tour guide. You MUST have a tour guide who is passionate about sharing their unique stories and activities and who is in contact with local realities and artisans. You will be AMAZED at how much more personal your experience will feel when guided by a person who is thoroughly connected to a city - 360 degrees from every angle. Italy is a lot more than Rome and Tuscany. From the Hills of Langhe to the trulli of Puglia, going through the culinary haven of Romagna, you will find fewer tourists and wonderful land to discover. Summer dreaming . . . walking along the seafront in Otranto, breathing the salty breeze, watching a sailboat bobble in the bright blue bay, you may catch yourself thinking "NOW this is the real Italy!" This little travel secret is being discovered more, but you still won't find hordes of tourists here. This is Southern Italy, minus the masses. 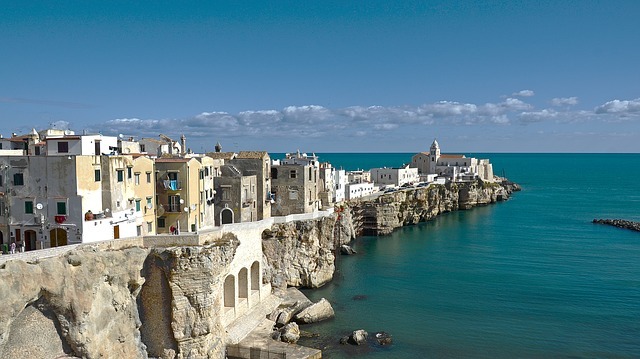 Puglia brims with pristine cove, sandy beaches and charming villages. Wait, did we mention the FOOD of SOUTHERN Italy . . . wide variety of seafood, fresh tasty vegetables, rich olive oil, and of course, basil and oregano. 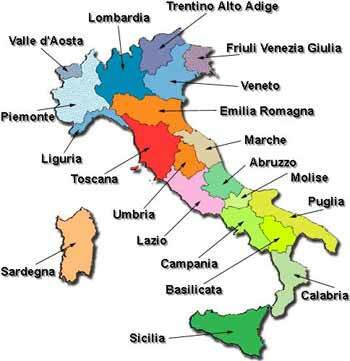 The best Italian olives come from this region and are often marinated in garlic oil with crushed chili. What do you think of NO LINES, NO HASSLE, NO CROWDS. Just sun and sea and genuine Italian hospitality. With over 11,000 years of history, Basilicata spans a total of 3,860 square miles, located at the "insole" of Italy's boot between Puglia to the east Campania to the west, and Calabria to the south. The region's history of poverty contributed to its unique cuisine which is gaining significant recognition in the last several years. Artisan Luganega sausages, fresh pasta made from water, salt and flour (omitting the usual eggs present in the rest of Italy's pasta), and abundant use of seasonal vegetables and legumes are prominent in the cuisine allowing it to highlight local flavors. Sassi di Matera is one of most highly visited UNESCO World Heritage Sites visited in the region. It is a city of caves and was used as the backdrop location for Mel Gibson's movie, "The Passion of Christ". Moving along to the area of Vulture Melfese... is drawing wine enthusiasts showcasing its high-quality red, Aglianico, while the small town of Bernaida, the former home of Francis Ford Coppola's grandfather and current location of his newly-opened Villa offers another great experience. And natural Beauty lovers are enamored with the miles of coastline and national parks in Maratea watched over by the2nd largest statue of Christ in the world. Last but not least, Pollino offers travelers a bit of everything, a national park, prehistoric cave drawings and burial sites and unique vacation spots such as the thermal springs in Latronico. Venice will tug at your heartstrings, but stay awhile, there is more to Veneto than Venice. I had the pleasure of taking an authentic journey to the Veneto Region - beyond Venice last year hosted by my Italy partners that I love so much. I can barely remember the names of all of the towns visited, but I was WOWED by it's rich artistic, historic and culinary heritage, not to mention the beautiful Italians that greeted us at each town. We stayed in a variety of places ... hotels at city-center hotels, a Castle, a Relais, Villas. And the regional cuisine in each town was more than a meal but a true EXPERIENCE. We also were invited inside residences for a private viewing of amazing art, surprised by an opera singer in our villa, toured olive oil farms, wineries and watched the cheese-making process. Stay tuned for a more in depth view of our times visiting Padua, Volpolicella, Verona, Lake Garda, Vicenza, Bassano del Grappa, Asolo and Treviso. Enjoy an intimate voyage through Sicily, the largest island in the Mediterranean. Sicily boats stunning seascapes, historic towns and charming countryside. 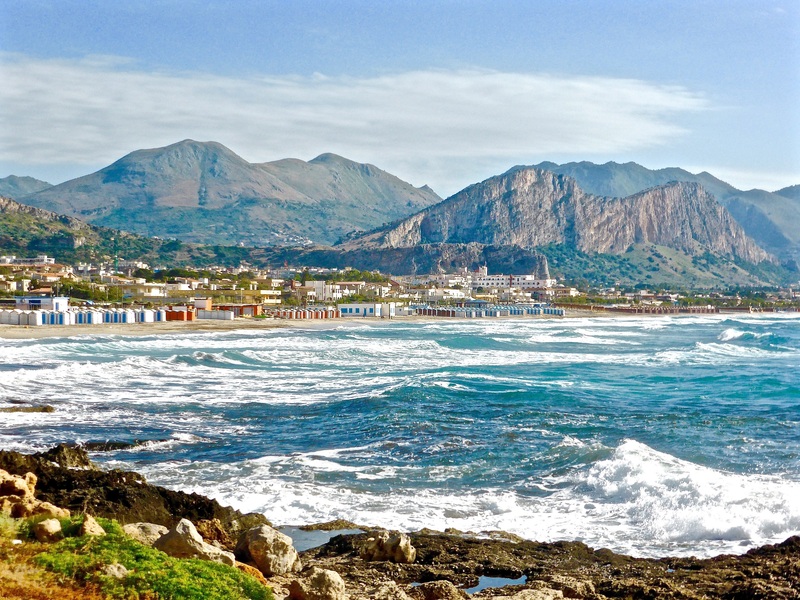 Fed by rich volcanic soil, Sicily also produces some of Italy's finest wines. A journey through Sicily includes authentic food, private guides and behind-the-scenes access to Sicily local traditions and people. 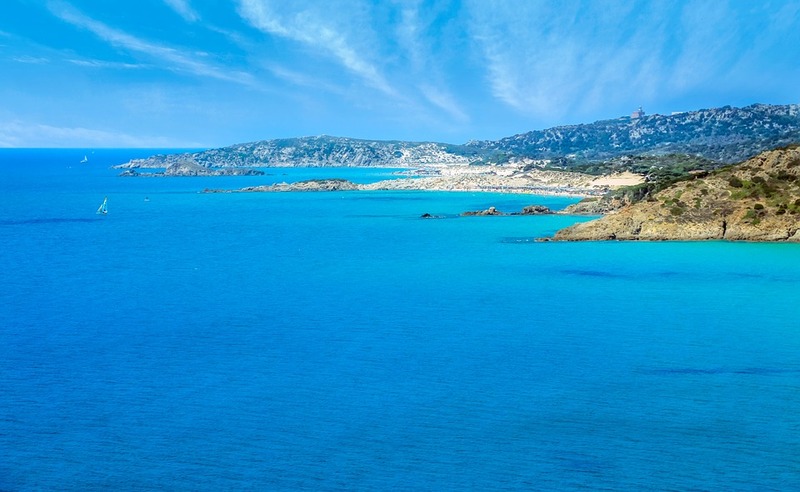 SardiniaWhen you opt for a private tour, we can give you a real cultural immersion. We hand pick local guides are born and raised in the destination. You will discover some amazing, but virtually unknown, places that would be hard to find on your own. It is something you will remember when you buy tortellini from a local shop, but it's another thing altogether when you discover the best tortellini you've ever tasted and buy it from a little shop, which the locals go, just around the corner from the one where all the tourist stop. THIS is something you will not only remember but will share with your friends and family for years to come because it is a personal connection you've made with ITALY! Is everyone with a camera a photographer? Is everyone with a blog a journalist? Likewise, is everyone with a computer a travel expert? The difference in each instance is years of training, experience, vetting products and relationships, and a little dash of intuition. 1. When I first meet with a prospective new client, I am used to all of the usual questions; "Why should I use a travel agent? ", "How do you get paid? ", "What can you do for me that I can’t do for myself online? ", etc. I have been asked these questions countless times. Here’s the thing...you don't ALWAYS need a travel expert ...if you want to book round trip air from Charlotte to Buffalo and stay in the Holiday X on the corner of1st Avenue and Main Street, you probably don’t need me! I am an expert in custom-crafting vacations that are going to provide you with the EXPERIENCES you are longing for. I don’t just “book travel”. It ALWAYS amounts to some well-researched (and vetted) advice on which Caribbean all inclusive or which Hawaiian island is the right fit for your dreams. THEY ARE ALL VERY DIFFERENT! 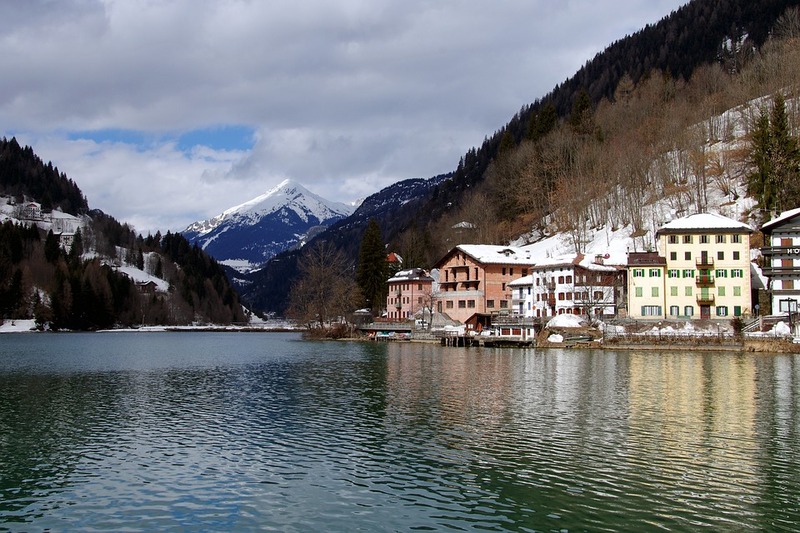 It involves literally hours upon hours of detailed planning, research and jigsaw-puzzle precision to put together a 10 day custom European journey through 1 to 3 different countries for a couple or family who want to immerse themselves into each culture with art or culinary classes. I am happy to go to any lengths necessary to craft that perfect EXPERIENCE for my clients...it’s what I do! And it turns out to be a gift of mine! 2. If you send me an email that says “I found a deal online for a week in Jamaica at the XYZ resort for $599...Can you beat it?” I’m going to let out a big sigh and pour another glass of wine. First of all, how can we know that the XYZ resort is a good fit for you? Secondly, we have no idea what the good "deal" includes. Nine times out of ten, I have learned that if SOMETHING looks too good to be true, always is. I've had clients that saw a great price online, then once they pressed the button with their "on-line travel agent" realized the advertised price was "PER ADULT" and did not include tax and the tiny print had some language about "or comparable". Please don't fall victim to "steps from ... the beach, city center" etc. literally I see these and I know its over "a mile of steps from". Saving money is great, and I'm all for staying within budget and getting a good value for my own travel dollars, but don't reduce your vacation experience to being treated like a commodity. When an item is a “commodity”, there are no differences between the same item sourced from different places – except price. I really do have your best interests in mind...trust me to do what I do best and find you the perfect fit and the greatest value for your precious vacation time and budget. 3. Finally, keep this in mind...when you hit the “Buy now” button online and purchase that vacation from an invisible travel agent, you receive confirmation numbers and that's the end. Are there any unique experiences included? When you give me, or any other hard working travel professional, the “go ahead” to book that same vacation (often at the exact same price, or better), you receive your travel documents, destination information, restaurants recommendations and sightseeing suggestions or reservations, along with the promise that we have YOUR BACK until you return home from the trip ... and even beyond! If anything goes wrong on the trip, we are that extra security blanket and advocates for YOU and YOUR well being. Try getting Mr. Orbitz or Expedia to pick up the phone at 6:00 a.m. to argue with the French hotel desk clerk about the noise level, or lack of air conditioning in your room! That my friend is "VALUE" for your travel dollar. Ultimately though, it amounts to WHAT is important to you. If you want LIFE ENRICHING or CHANGING experiences, it probably can't be found with a "BUY NOW" button.